HomeIQ today announced that it has received its Nest PRO certification making the first company in the region to achieve the accolade. 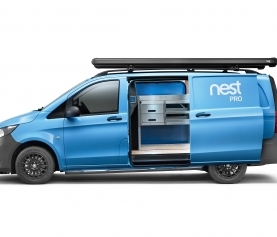 As a verified Nest Pro installer, our team have the tools and training necessary to install all Nest products into your home of office giving you the peace of mind knowing they’re installed properly and ensure that your expectations are not only met but exceeded. HomeIQ Managing Director, Omar Saudi said “Over the years we have sold and installed thousands of Nest thermostats, protect alarms and indoor cameras all across the UAE. The certification provides customers with the peace of mind knowing that their Nest product will be installed correctly and is testament to our high level of expertise in these products, which is second to none. We sincerely value the trust that Nest and its local distributor has placed in us”. 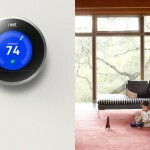 Verified Nest PRO technicians receive special training and support from Nest on all existing and new products. The installations are also guaranteed and are provided at a fixed cost with no hidden extras. Professional technicians are also guaranteed to leave your property clean and tidy as if we were never there.